Anyone else sick of baking? Time for some MEAT. And not just any meat – pork shoulder, on the bone, cooked for 10 1/2 hours until meltingly soft and soaked in barbeque sauce, served with a mustardy coleslaw that’s a whole universe away from that palpy white supermarket stuff that only tastes of onions. I’ve been wanting to make pulled pork forever, and despite the stress of not being able to peek under that foil for an entire day it did not disappoint. Sadly I have no photos of the finished buns, but it was a party and I was too busy stuffing my face. Whoops. 1. 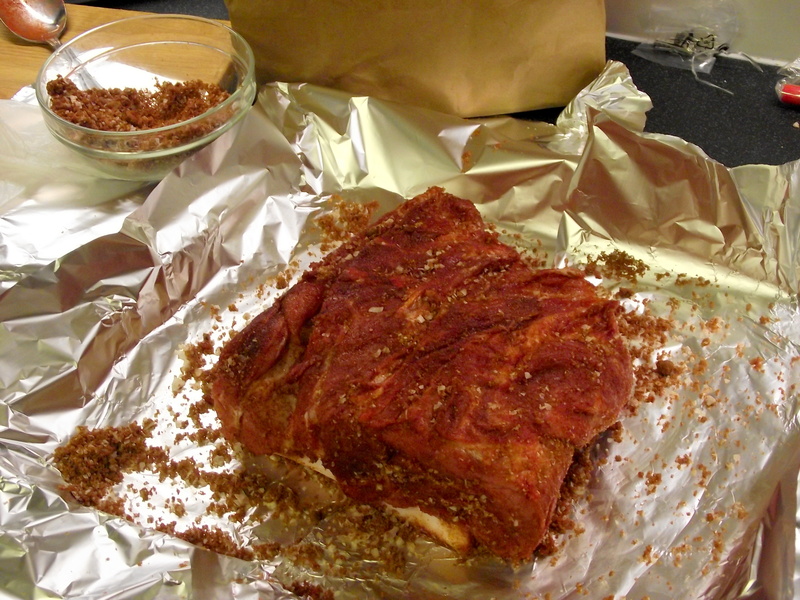 Place the pork on a foil lined roasting tin and pat dry with towels. 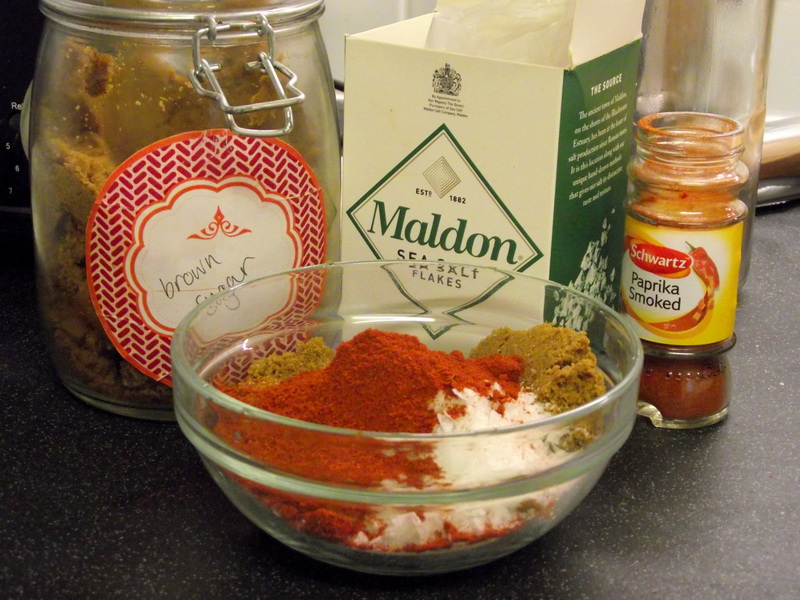 Mix together the salt, paprika and sugar, and rub half of it into the meat. 2. Roast at 220C for half an hour until well browned, then remove from the oven. 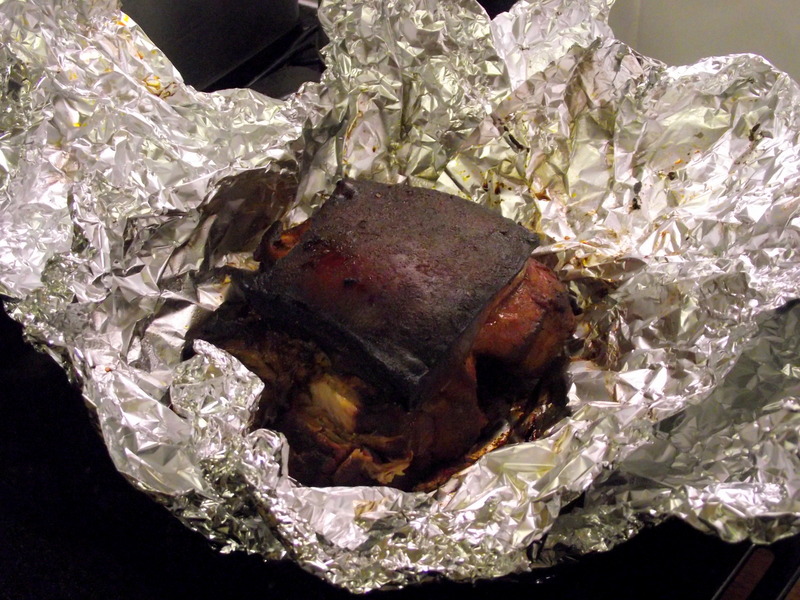 At this point I found there was a lot of burnt sugar on the foil, so I switched for a large, clean piece. 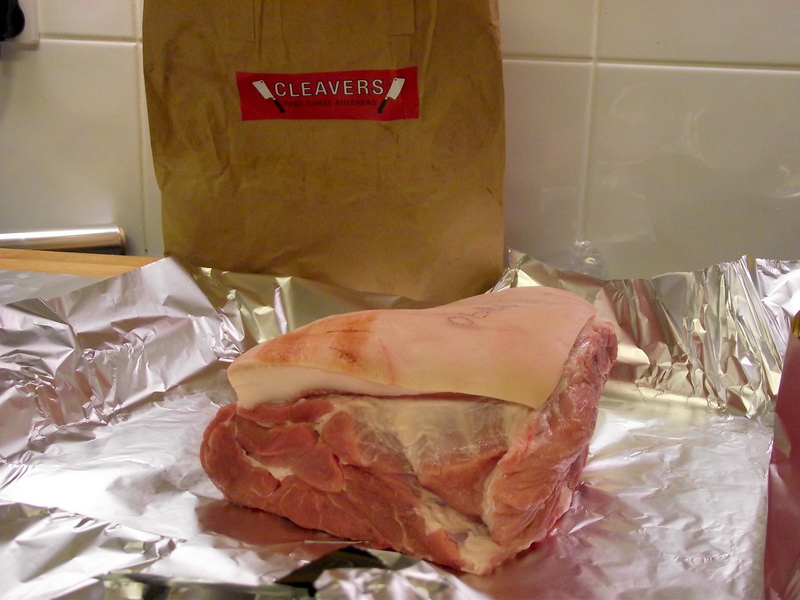 Fold this up around the pork and seal to make a parcel. Lower the oven temperature to 125C, and cook for around 8-9 hours. If there are any juices left in the tray, pour these off and keep to one side. 3. Turn the heat back up to 220C, and cook uncovered for 10 minutes. The fat will stay flabby but the rest of the edges will go lovely and crispy. Remove from the oven and leave for half an hour to rest. 4. 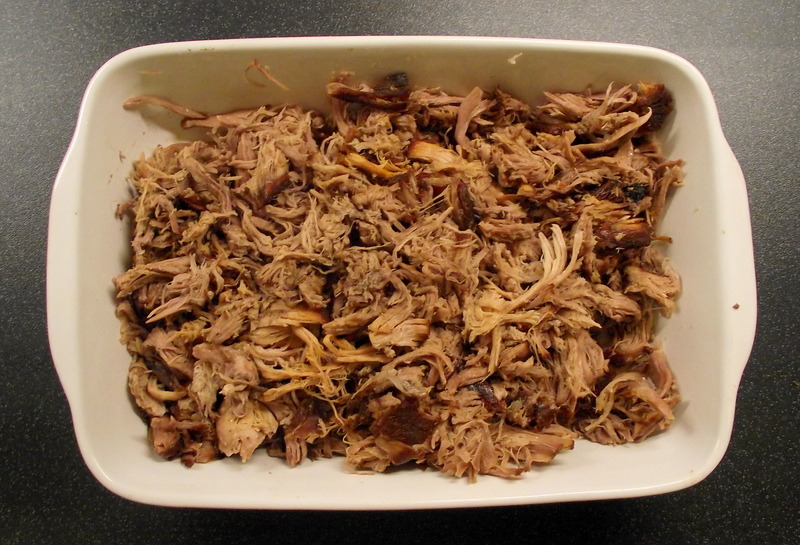 Remove the top layer of fat and shred the meat and crackling into a serving dish. Pour over any juices, the rest of the seasoning and a barbeque sauce of your choice – I used a braai sauce called Lappies which is quite watery so it soaks nicely into the meat. Cover and keep warm until needed, adding more sauce if it looks dry. This makes far too much dressing but is so good and keeps forever. 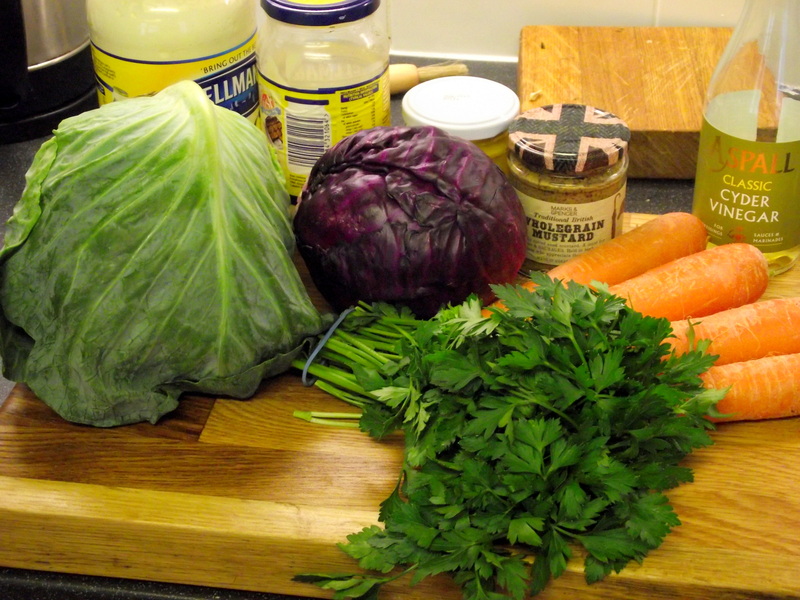 As do cabbages, as we found out on returning from holiday. Still eating this with every meal. 1. 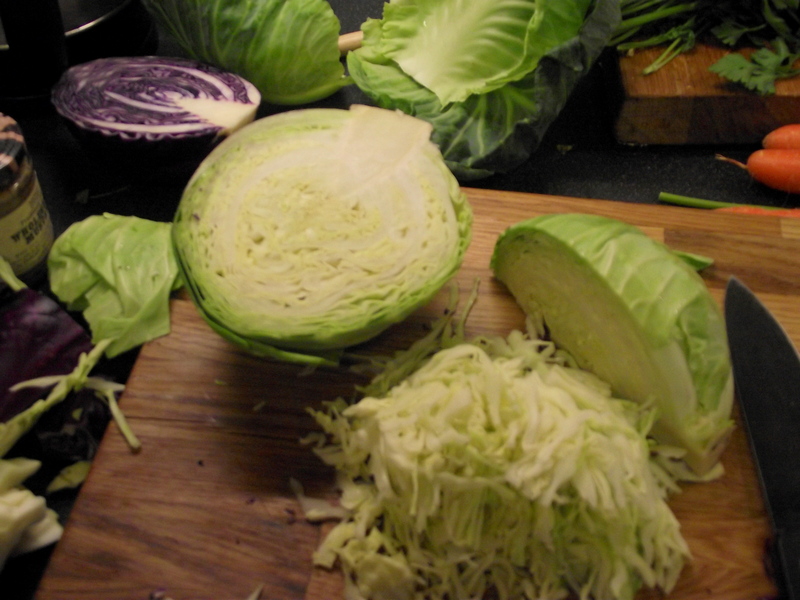 Remove the cores from the cabbages and shred as finely as possibly. 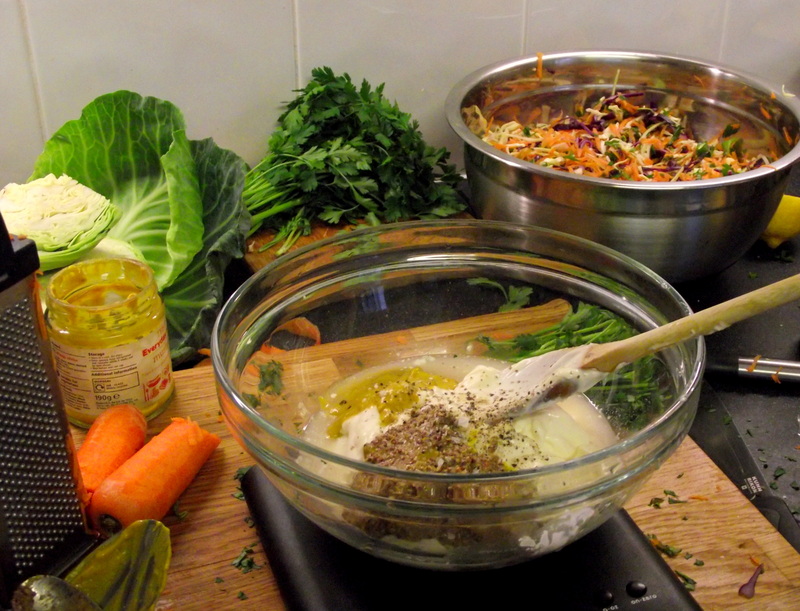 Grate the carrots, and chop the parsley. 2. 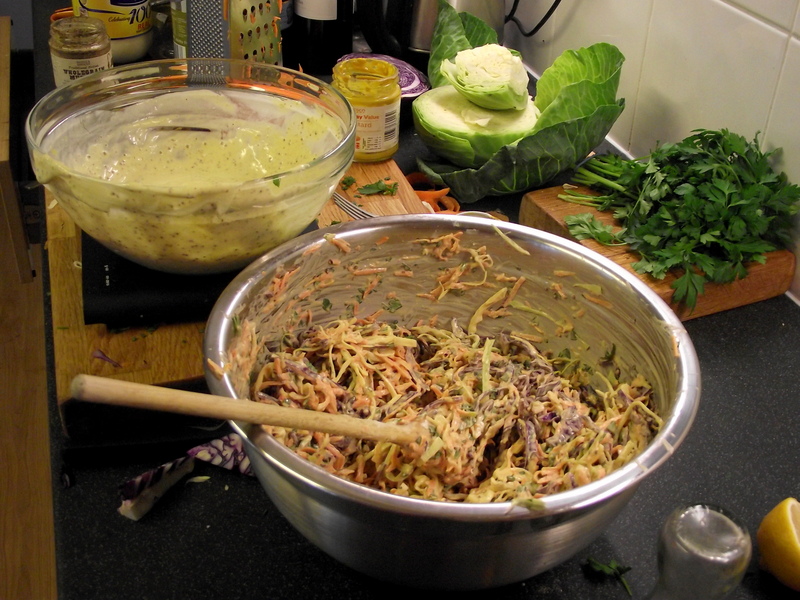 Combine the dressing ingredients and add as much as you need to the vegetables around one hour before serving.